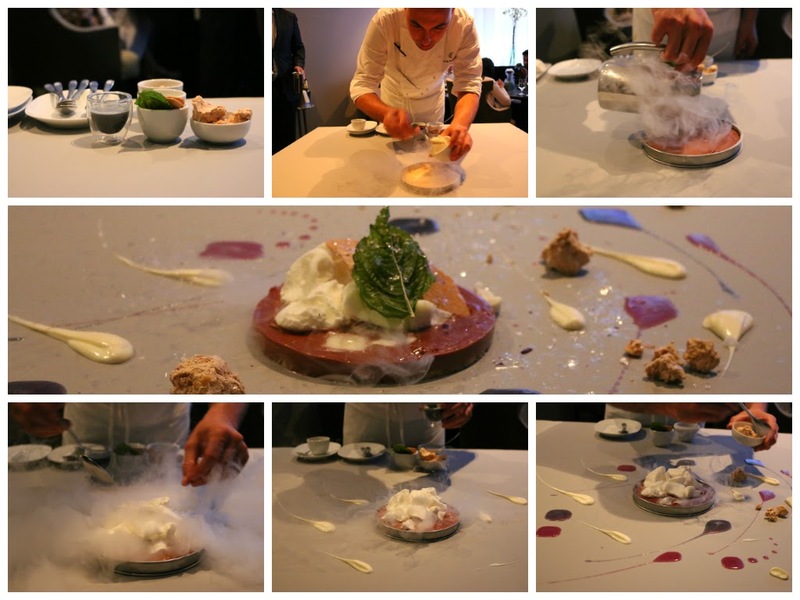 If there's a restaurant that's been on my bucket list for some time, it's Alinea. And on a recent trip back to Chicago, I took the GF there to celebrate her birthday and provide a taste of modernist cuisine. Since opening in 2005, head chef and owner Grant Achatz has been exhilarating the culinary world with his deconstructions of classic dishes, utilizing molecular gastronomical technique to his advantage. Yet in a Shakespearean twist of tragic fate, Chef Achatz was diagnosed with stage 4 cancer of the mouth in 2007. But thanks to an aggressive, yet successful protocol of treatment at UCMC, his cancer was in remission later that year. Doctors were able to preserve his highly-tuned tools of the trade, but most importantly, his health. And when Michelin Guide stopped by Chicago in 2010, his continued dedication led to Alinea receiving the highest rating in the culinary world - three stars. Other awards have been thrust upon the restaurant and the staff, including this year's S. Pellegrino World's Best Restaurant ranking of #9 in the world and #2 in the United States. 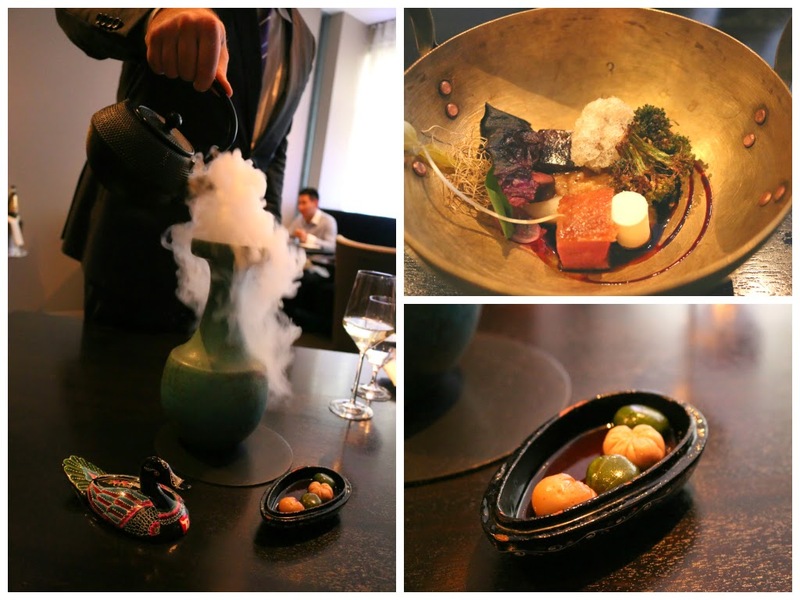 As such, obtaining a reservation at Alinea is quite the task - almost on par with Momofuku Ko. 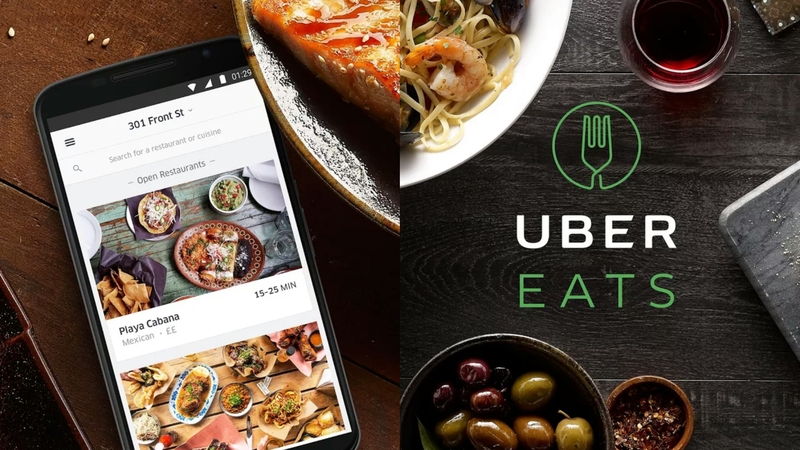 In addition to the innovation of a ticket system - recently brought to Philly by Iron Chef Jose Garces in the form of Volver - tickets are released 2 months in advance and sell out fairly quickly. After scouting for a few weeks though, the tickets were ours. While admiring the floating rhubarb above our heads, the GF and I considered the wine tasting. But we were meeting up with her folks later that night so opted for a few glasses of champagne and wine instead. We started off with a glass of this dry sparkler to start - an effervescent pairing suited for our first course. Our foray into Chef Achatz's technique was in the form of a foam - oft loathed by critics for being overused or superfluous. Not here though - the essence of toasted brioche was completely captured by the foam, perfectly complemented the briny osetra, along with a tart egg yolk pudding and gelee containing a distillation of red onion, lemon, and capers. Classic flavors deconstructed and presented in a way that few imagine. 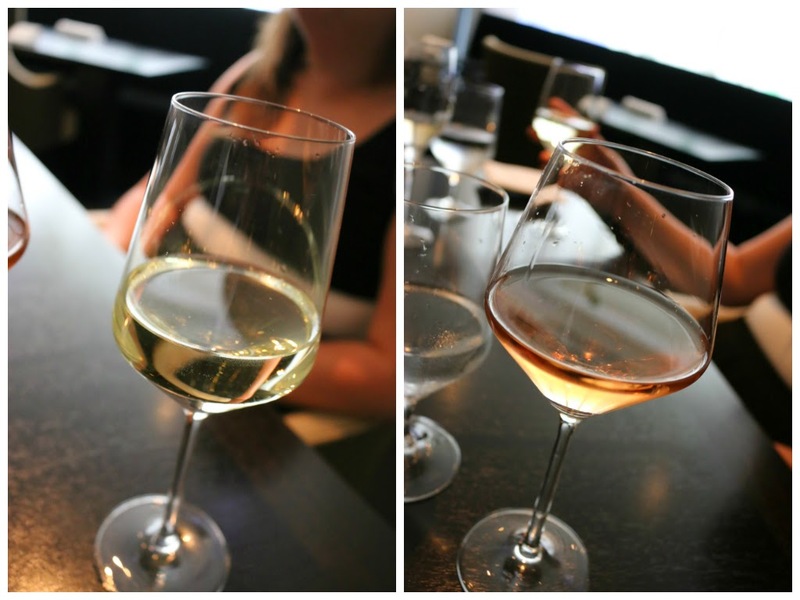 The GF and I also opted for a few glasses of riesling and rose with dinner. Of note, the riesling may be our new favorite wine. On the palate, it was delicate and pure, with nice acidity and notes of grapefruit and lychee. Definitely need to find a case of this. For our second course, we were presented with a veritable nest - interactive dining at its finest. Our server asked us to "forage" for our next bite. I can imagine some diners taking awhile to find it - it was well hidden, but for a slight difference in feel and color. Can you find it? Hidden on each end of the nest, the salisfy jerky offered the traditional salty chew reminiscent of jerky, with undertones of root veggies. Simple, but with a twist - nice. A brown butter crumble heightened the mild flavors of skate, with the lemon providing some brightness. Our first substantive course of the night offered a trove of modernist delights that ventured slightly into Indian territory. The perfectly poached lobster came atop a ghee butter sauce that I'm pretty sure I licked off the plate. At the top right, a granola of puffed wild rice, fried raisin, and pine nuts offered some textural notes that provided subtle sweetness to complement the ghee and lobster. On the bottom left, a compressed cucumber, vanilla, and cauliflower custard offered smooth sweetness to each bite. Cubes of Early Grey and cucumber gelee offered additional fresh elements to the dish, adorned with edible flowers no less. And the pops of grapefruit caviar - intense bursts of sweet tartness - fun! 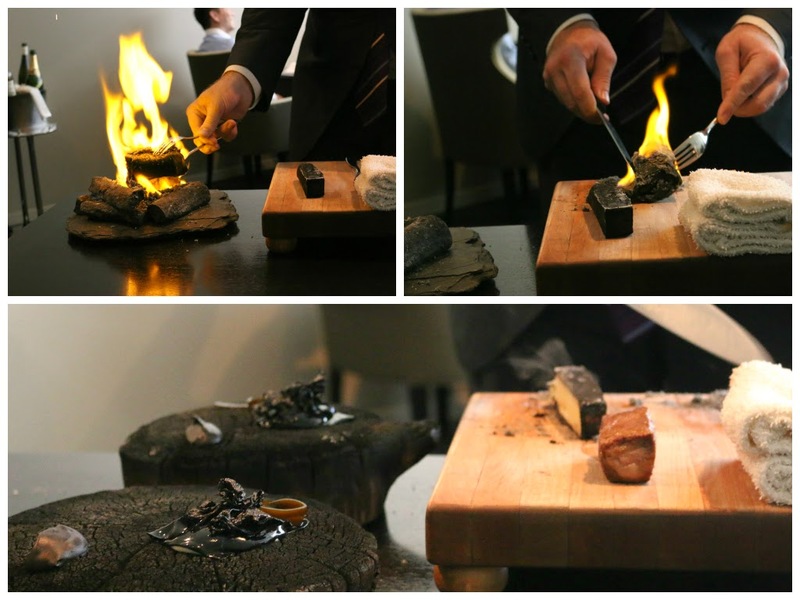 At this point in the meal, our servers brought out binchotan charcoal to light during our fifth course. Clearly something was to come after - but what? Our next course came in the form of a Chinese food takeout container, atop a plastic delivery bag. Filled with crisp nuggets of veal sweetbreads, this was a riff on orange chicken gone wild. An orange sauce with ginko nuts and herbs helped to elevate this offal dish. And how were we to eat this? Charred cinnamon chopsticks of course! And for our next course - the unveiling of the binchotan charcoal! Our server unveiled a charred coal which was actually a roasted parsnip. And wrapped in the wet leaf? A5 wagyu ribeye - doesn't get better than this, especially when cooked perfectly - sous vide. How's that for technical wizardry? The rich, marbled beef and subtly sweet parsnip was served alongside briny kombu and rich, smoky black trumpet. All on a charred stump of wood no less. Wow. After the richness of the previous course, we were offered a palate cleanser of lily bulb and rambutan. But the real star? The distillation of finger lime caviar - extreme bursts of tart, lime flavor. Our server informed us the Chef de Cuisine Mike Bagale had wanted to test out an experimental course on us. Obviously, we were more than happy to! We were provided with the day's newspaper and asked to spread it across the entire table. 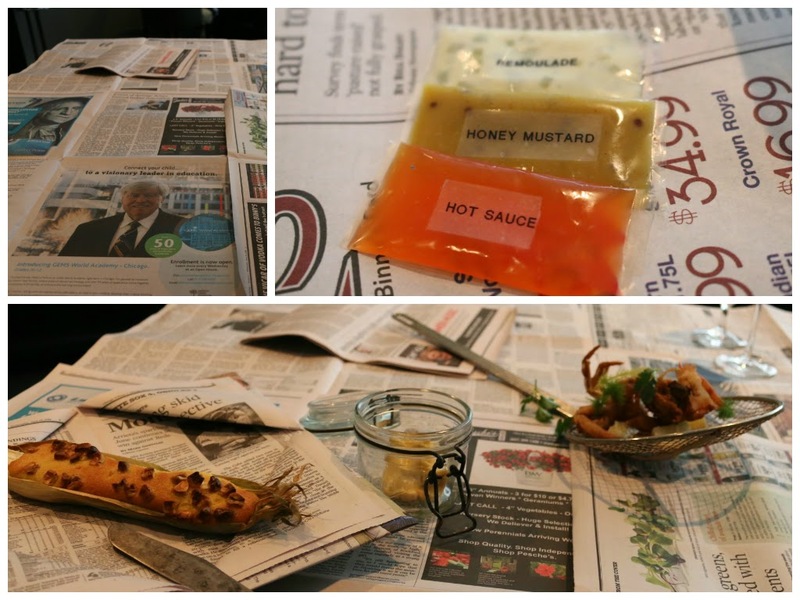 They placed housemade condiments of remoulade, honey mustard, and hot sauce on the newspaper as we waited in anticipation. We were not disappointed. In a fryer scoop came a couple of fried soft-shell crabs and fried okra. Perfectly crisp and not the least bit greasy, the crab provided succulents bits of sweet crustacean. And the okra? Not the least bit slimy. But the real star for me? The witticism on display with the cornbread, served in a corn husk, topped with charred corn kernels. Corn on the cob anyone? Served with Old Bay butter, the crisp nuggets of kernel offered great textural contrast to the buttery, moist cornbread. And what about the floating rhubarb above our heads? To be shaved atop our next palate cleanser, of course! Creamy licorice was prominent here, with the bitter, herbal notes of celery and the tart crunch of rhubarb providing some brightness. Our "ear" course came with a duo of umami-laden wood ear mushrooms and great texture from the pig's ear. Black garlic offered intense depth and salt to each bite, tempered by the smoked and white wine pickled Anjou pear cubes. For our next course, the Chef brought out an old classic for us - and frankly one of the dishes that initially brought Alinea on my radar. Contrasting temperatures are highlighted here. Pulling the pin downward, a whole black truffle, Parmesan cube, and hot potato are immersed in a cold potato broth. Decadent and delicious - the wide-eyed expressions on our faces were worth the price of admission. At this point in the meal, a flagon was brought out to perfume our course with the scent of a wok. Clearly, food is not just about taste and sight, as scent plays a huge part. Inside the duck figurine was dim sum of morel and shiso leaf, as well as duck mousse and foie gras dumplings. In our own wok, a foie gras and Szechuan peppercorn congee came amidst a pill of Dragon's breath containing shallot, garlic, and chili which were bound with tapioca maltodextrin. A roasted duck breast was juicy and though a bit jarring to the GF, I found the soy-marinated duck hearts to be toothsome, yet succulent. Pickled red pearl onion and crispy red cabbage leaves offered some texture and brightness to the heft of the dish. 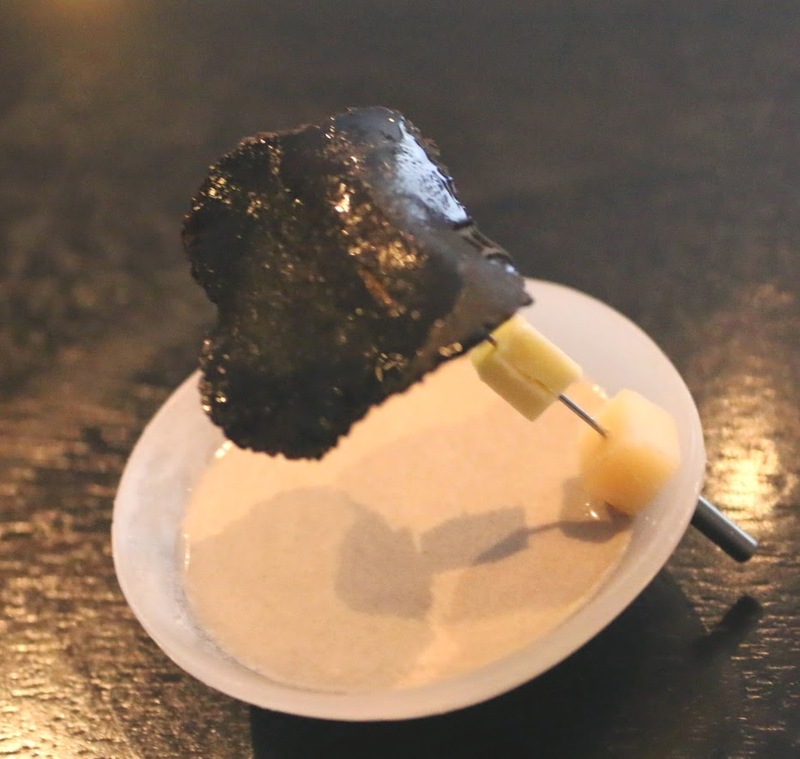 On the famed Alinea anti-plate (no bottom to the dish!) came another bite I was anticipating throughout the night - black truffle explosion. An individual raviolo with a black truffle broth came with a tender asparagus tip, back truffle, and Parmesan atop. Meant to be enclosed in the mouth in one fell swoop, this was the height of decadence. The essence of truffle completely envelops upon mastication and there's no shame in closing one's eyes here. A fitting end to the savory courses. Our entry into the dessert dishes started off with watermelon. Or was it? A cube of watermelon was devoid of watermelon juice. Rather, the essence of strawberry was injected and created a jarring juxtaposition of watermelon texture and strawberry taste. Sudachi citrus served to heighten the flavor with the creaminess of the avocado dust offering a tempering element. An exciting dish to say the least! With this course, the Chef searched for the most standard bubblegum flavors, which he used to create the taste of edible bubble gum strand - so believable I didn't want to swallow it. The plate was swathed with dollops of gooey blueberry essence, with blueberry meringue crisps offering great texture and lightness to each bite. Sorrel helped to add tang as well. The interactive elements of this menu continued with a balloon. Our servers literally brought out a balloon for each of us - filled with helium. We were informed that the entirety of the balloon, including the string, was edible. We kissed the balloon and sucked in the helium (to great effect!). The balloon popped on our mouth, with the subtle essence of green apple. As we proceeded to nibble on the string, sour green apple taffy consumed our palates, bringing childhood flavors to light. And being that it was the GF's birthday, the kitchen sent out an additional course in celebration. Pro tip: If it is indeed a special event, perhaps let the restaurant know in advance. After seeing this dish, other diners proceeded to say it was their special day - not sure if the kitchen could accommodate something they clearly prepare in advance. But moving on to the dish itself, the birthday ball was tempered with dark chocolate and a piece of dehydrated birthday cake, vanilla ice cream, and chocolate cream. Our server poured a vanilla creme anglaise tableside to "unwrap" the present. Very cool. And for our final course - modernist art on the dining table. The paint? 40% Tainori milk chocolate, frozen violet sugar, violet sauce, creme fraiche, candied basil, crispy brown butter, frozen milk meringue, and pate sucree. Armagnac butterscotch and hazelnut and feuilletine rocks provided some texture and richness as well. With liquid nitrogen, the milk chocolate was used to great effect to create a gelatinous "tart" that was creamy and light - topped with the candied basil, milk meringue, and crisp brown butter. And with that, our three-hour three star experience in Chicago came to an end. Presented with the additional check for wine for the night, we reflected on one of the best meals of our lives. Exemplary service was personable and not stiff. The dishes were a display of both show and technique, but most importantly, exceptional taste. While the creativity was clear, there was a reason behind every ingredient and element to each dish. And while $800 for a meal is understandably a ridiculous sum for most of us, it's worth it at least once if you have the opportunity. It's a learning experience to be sure - you can't help but understand food on a new level.